Keep your shoulder-season options open with the versatile Los Gatos Hooded Vest. It’s reversible, with a close-to-body fit, making it the perfect layering piece. 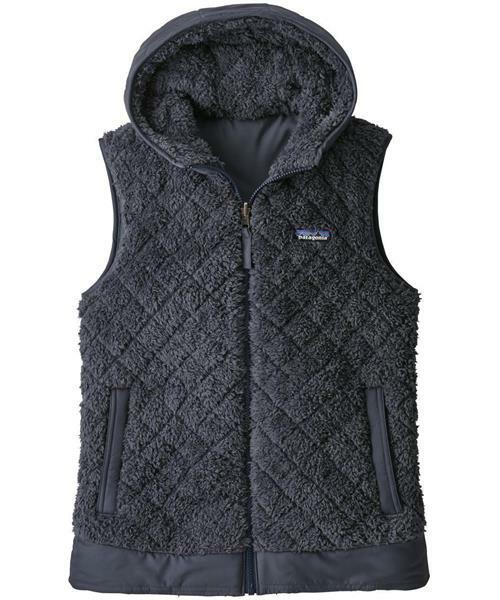 Made of deep-pile polyester (30% recycled) and insulated with 60-g polyester (90% recycled) insulation, the diamond-quilted vest reverses to silky-soft polyester taffeta. Details include an oversized hood and center-front zipper; tonal contrast trim; and handwarmer pockets with secure zipper closures that reverse to kangaroo-style pockets. Hip length.